Oh, hello. What do you think of my amazing new blog design??? Megan at a Bird in Hand Designs did a FABULOUS job capturing what I wanted. I am going to spend the next 5 days CELEBRATING with a Giveaway, Freebies, and SPECTACULAR sales. 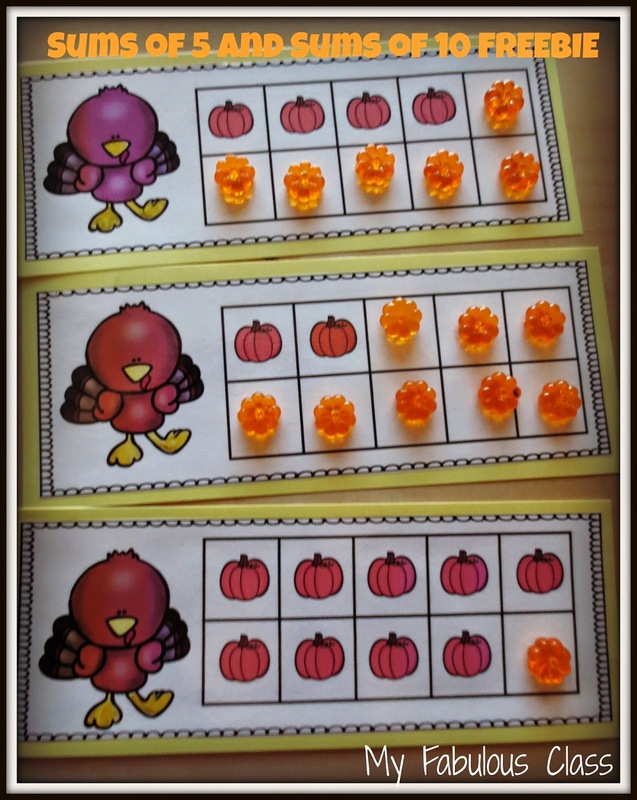 Today, we started to to use activities from my Turkey, Turkey, Turkey Math and Literacy Centers. I recently updated this with NEW centers, fonts, and clip art. If you purchased it last year, you can download the updated version FREE. Are you working on beginning sounds? We are. 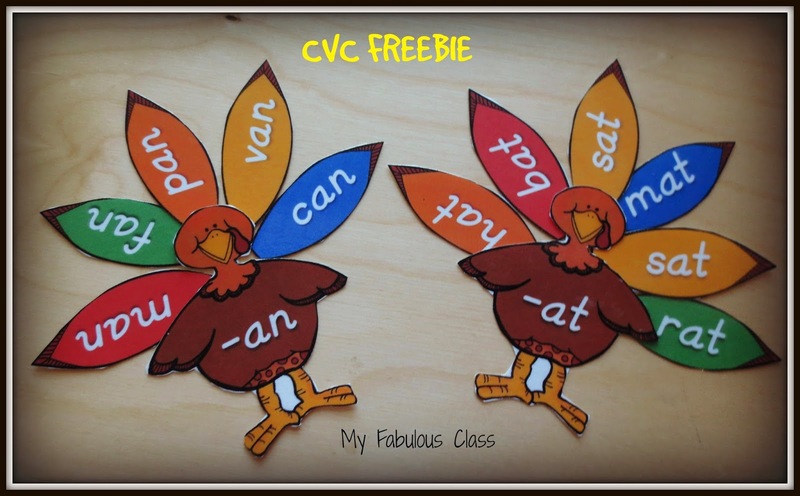 My class LOVED these little turkey cards. We have started workign on the word families -at and -am. Yes, my printer needs new ink. Poor printer has been very busy these past few weeks. 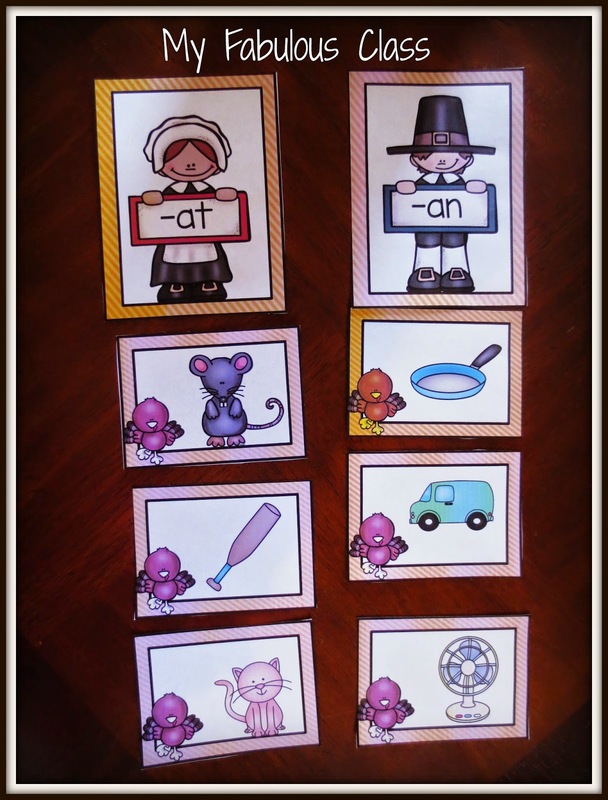 There are also word and picture cards for -op and -ot. 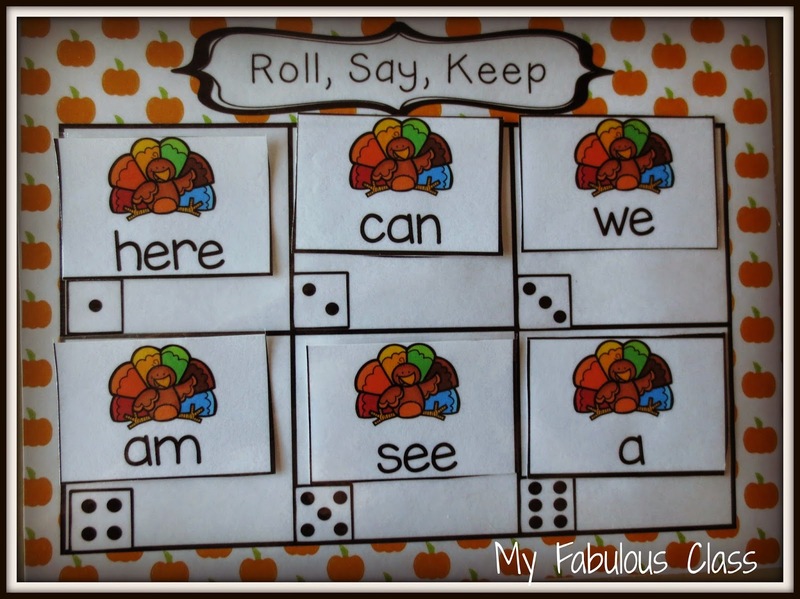 My class LOVES Roll, Say, Keep. We play it at least once a week. The kids roll the dice, read the word, and keep it if they are right. I included letter cards as well for my pumpkins who only know a few sight words. Literacy games are all about feeling successful, right? This is a little FREEBIE I posted last year. You can grab it here. Please leave me some feedback letting me know what you think. 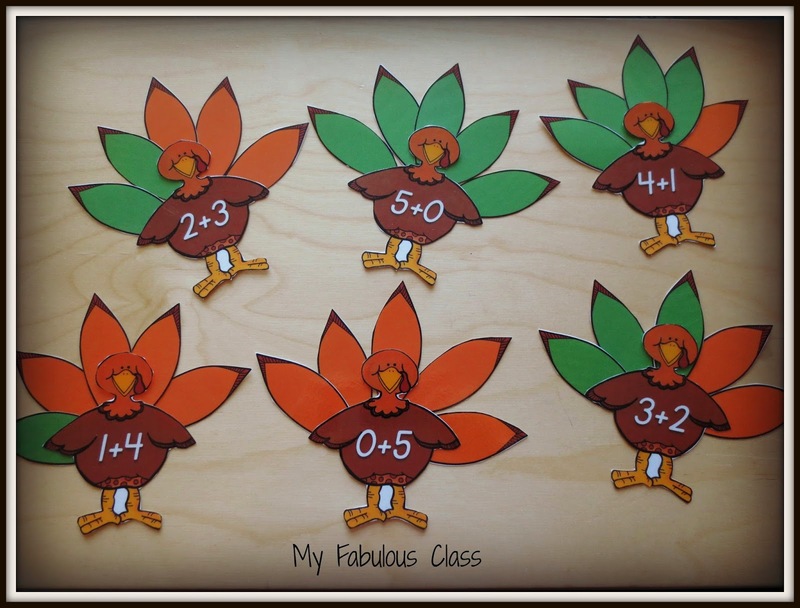 I made turkeys for sums of 5-10. Each sum has a different colored frame to help with differentiation. That way you tell one group to work on the yellow frames (sums of 5) and another group tcan work on the brown frames (sums of 10). 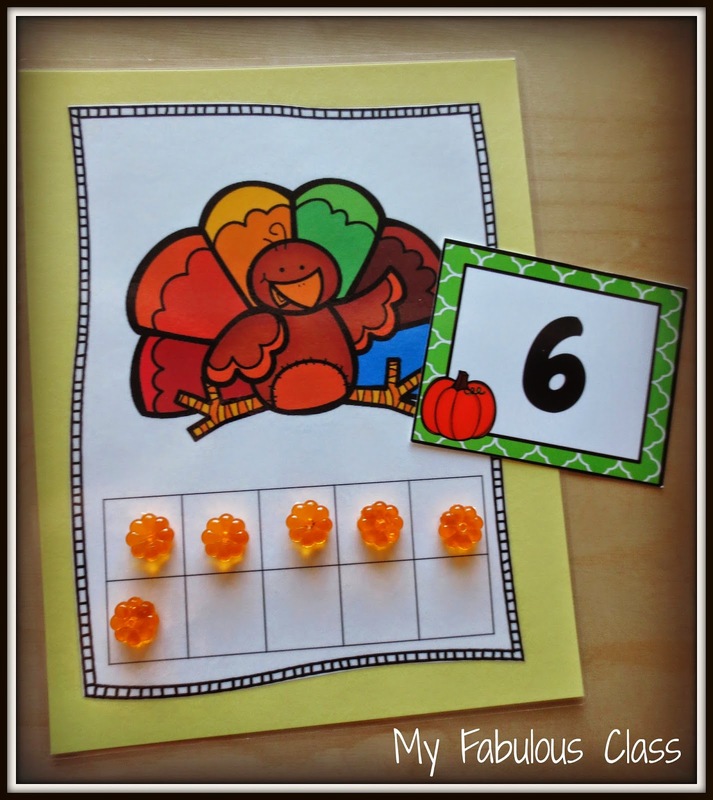 How cute are these turkey ten frames? The pumpkins are from the Target Dollar spot. For advanced students, have them take a number and then tell you how many more to make 10. Look at these adorable sums of 5 turkeys. 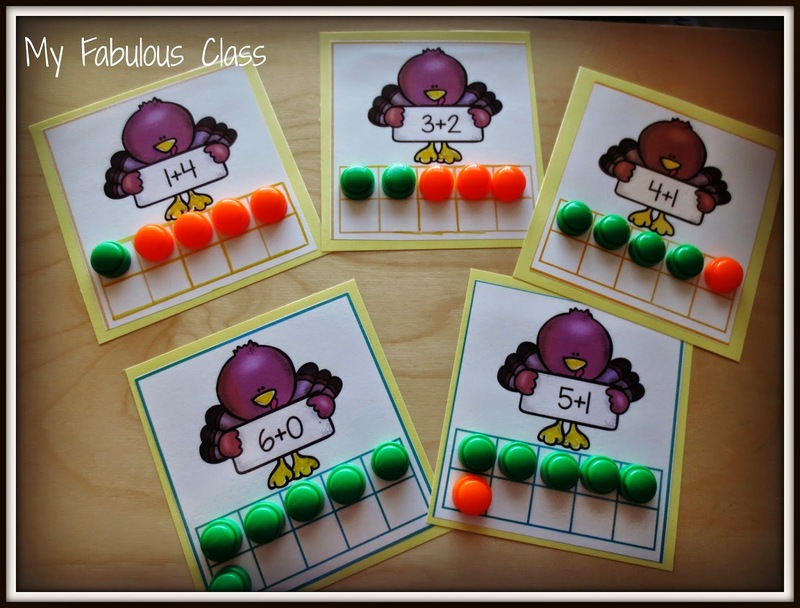 Students read the number sentence and add the feathers. I made these last year and you can find them HERE. Ready for your FREEBIE???? This activity was in the old version of Turkey, Turkey, Turkey. I updated the clip art. It is for working on sums of 5 and sums of 10. It includes recording sheets. You can get it FREE HERE. If you are looking for more THANKSGIVING ideas, check out my Pinterest board Gobble, Gobble. I am also having a GIVEAWAY! Three, yes, THREE LUCKY readers will get $10 to spend in my STORE. I will pick a winner on Friday. Be sure to check my blog and Facebook everyday this week. There may be some flash freebies and flash sales happening. When I say there might, I mean there will. Love the new design, love the freebies and I just put those adding to 5 turkeys in my cart...adorbs! Thank you!